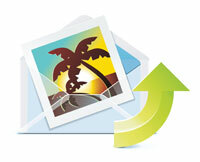 This tip will allow you to insert images to your Gmail messages or Google Apps powered email messages. 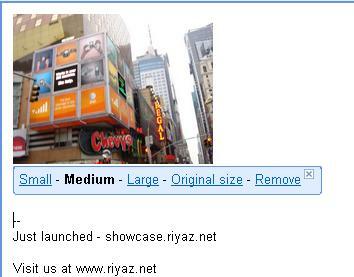 You can upload images directly from your computer or use a web URL. There is another option that many people have been using till now like creating an email message in Outlook or any HTML editor and copy-paste the whole thing to the Gmail message editor. Now, compose a new message in Gmail. You will see an option to insert image. You can either upload images from the computer or use URLs of the images from the web. Once you have uploaded or added an image, you can choose the size of the image just by clicking the image and choosing from the context menu. That’s as simple. Go ahead and beautify your Gmail messages. That method works fine for individual emails. But if you want a default setting to always have the same images by setting it up in “settings”, it does not work. Instead you get requested to input a web address. The image is already on my hard drive, and I want to be able to browse for it, but the settings wont let me do it.